The Orchard Bank Platinum MasterCard, along with a few other cards from Orchard Bank, was once one of the best credit cards for people with bad credit. The cards had relatively low pricing, compared to other credit cards aimed at the same demographic. Unfortunately, Orchard Bank, once a subsidiary of HSBC, was purchased by Capital One in 2012 and the Orchard Bank credit cards were discontinued. While you can't get an Orchard Bank credit card anymore, here's a brief overview of what the Orchard Bank Platinum MasterCard looked like. Of all Orchard Bank's cards, the Platinum MasterCard had the lowest pricing. It was also a little more difficult to qualify for than the other cards. Orchard Bank had a tool that would pre-qualify you, without affecting your credit score, and let you know which of its cards you qualified for based on your credit history. The APR was a relatively low 14.9%, competitive even with credit cards for people with good credit. The penalty APR, charged if you were more than 60 days late on a credit card payment, was 29.49%. The card did come with an annual fee that ranged from $39 to $59, depending on your credit history. You could be charged a late fee up to $35, the legal maximum. Exceeding your credit limit would cost $25 and balances transferred would be charged a 5% balance transfer fee. Orchard Bank's credit cards may be gone, but you're not out of options if you're looking for a credit card to help rebuild a bad credit score. Capital One, who purchased Orchard Bank, has a viable alternative in its secured credit card. The Capital One Secured MasterCard has a low cost and pretty good terms. If you qualify, you may be able to pay a security deposit as low as $49 or $99 for a $200 credit limit. In the worst case scenario, you don't qualify for the reduced security deposit, but you can still pay a low $200 security deposit for your credit limit. Or, if you want and can afford to, you can pay up to $3,000 for a bigger credit limit. There's no annual fee with the Capital One Secured MasterCard, but there is a higher APR of 24.99%. Pay your balance in full each month and you'll never feel the effects of the higher interest rate. The Discover It Secured Card is another great alternative. It also allows a minimum security deposit of $200. It doesn't offer the option to qualify for a lower security deposit, but it does allow you to earn cash back rewards on purchases. It also doesn't charge an annual fee and has a 23.24% APR on purchases. 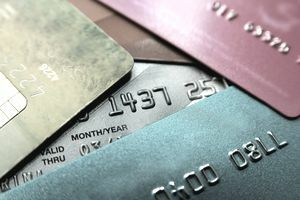 Both Capital One and Discover report to the major credit bureaus, so using your secured credit card responsibly will help you rebuild your credit history and qualify for better credit cards in the future.